Happy "National Short Story Month"! "[Midge] Raymond's prose often lights up the poetry-circuits of the brain." The Seattle Times had it precisely right when they described my friend Midge's short story collection, Forgetting English, this way. When the collection first won the Spokane Prize for Fiction and was published a couple of years ago, I devoured its delicate stories and gave several copies of the book as gifts. 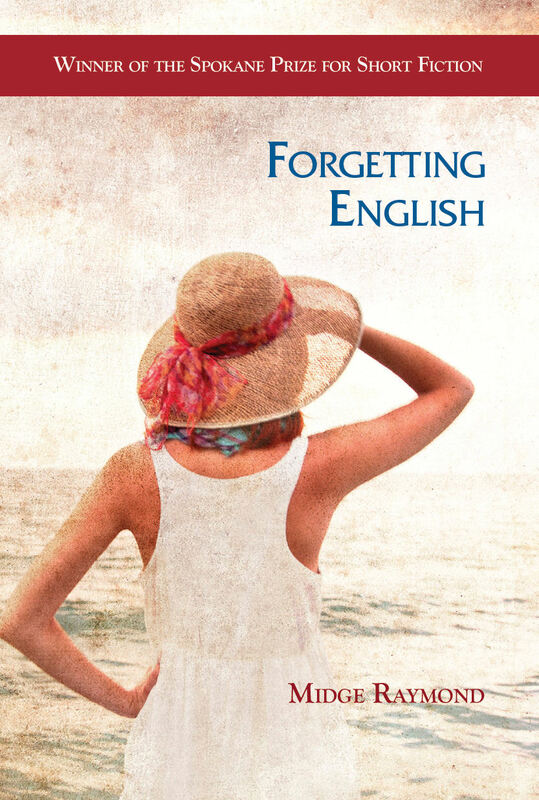 Now, Forgetting English has been re-released (with some new stories!) by Press53 -- a publisher that is offering some fabulous fiction to the world this year. Soon to come from Press53 is the novel Hustle, by my friend and former colleague Jason Skipper. Jason and I worked together at Pacific Lutheran University several years ago. But half a decade before that, our first publications in literary magazines appeared side-by-side in the University of New Mexico's Blue Mesa Review. Jason's short story "Buddy" and my essay "Learning to Distinguish Refrigerators and Bicycles." Jason will celebrate Hustle at King's Books in Tacoma on Friday, June 24. I hope to be there -- and so should you! 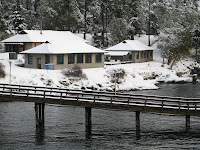 On Friday, July 15 at 6 pm, Midge and I will read together at Orca Books in Oympia, Washington. 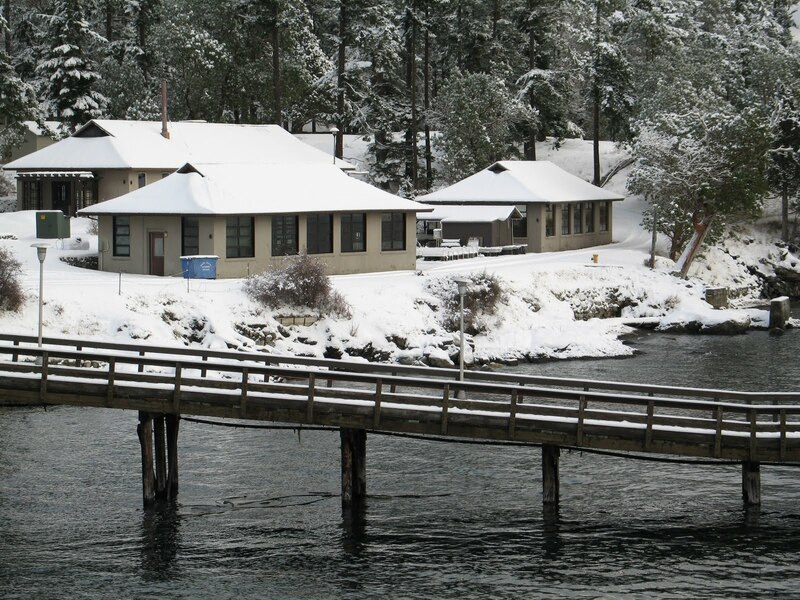 And the following week we will both teach at the Port Townsend Writers' Conference at Centrum. On Sunday, September 11 from 3 to 5 pm, we will co-teach a writing workshop -- "Writing Global Stories with a Local Heart" -- at Northshire Bookstore in Manchester Center, Vermont. On the evening of Thursday, September 14, we'll offer that workshop again at RiverRun Bookstore in Portsmouth, New Hampshire. Also this fall, we'll offer a reading or two in Massachusetts as well as in Iowa -- stay tuned for details! My congratulations to Midge Raymond and to Jason Skipper for their beautiful books, and to Press53 for recognized gifted writing and sharing it with the world. Celebrate May by treating yourself to a new collection of short stories, or maybe a novel! Below is the e-conversation that Chad and I shared. Chad Emery: When did you realize you wanted to be a writer? I see that you have a BA in Biology, but an MFA in Writing and Literature. What were your original goals? WLC: I grew up wanting to be both a scientist and a writer. When I was seventeen, the latter seemed like a pipe dream, and the former, a rational career choice. I wrote “biology” on the “intended major” line of my college application and never reconsidered that choice. I probably should have. At the end of every semester of my college career, I received a strong urging to reconsider – in the form of a grade report that highlighted my facility in the humanities and mediocrity in the sciences. After college, I worked for three months as a marine biology field assistant. I loved the work, but realized I had no talent as a scientist. I took a job as a grassroots organizer and followed that career path for a decade. Slowly, my interest in social change organizing led me back to my childhood desire to be a writer. CE: When and how did you learn Spanish? Have you lived abroad? WLC: I began learning Spanish while working as a grassroots organizer in Boston. I collaborated with local Spanish-speaking groups and with organizations in Mexico and Central America. Basic Spanish was an essential job skill, so I enrolled in evening classes. Starting in 1995, I devoted my annual vacation time to a two- or three-week visit to Latin America. In late 1999 I applied for and received a two-year grant from the Institute of Current World Affairs, to live, work and write in Mexico. By the time I returned to the U.S. in 2002, I was able to work as an (unofficial) interpreter and translator and (thanks to editing help from Mexican friends) had published articles in Spanish. CE: Please describe a typical day. Do you work eight straight hours or a couple hours at a time? How do you keep your projects organized? WLC: I write in the mornings. When I’m teaching, I try to schedule my classes in the afternoons and evenings so I can keep to that schedule. When I’m not teaching, I devote my afternoons to editing projects, administration, marketing, and research. I create a fairly elaborate work plan each month to keep track of all my deadlines and works-in-progress. Hedgebrook writing desk, October 2010. I tend to work fifty to sixty hours per week, though I don’t have a particularly regular schedule. Because I’m a freelancer, at least one-fifth of my work hours are devoted to keeping myself employed and my writing projects funded. My daily writing time might be as little as 20 minutes or as much as four hours. I only write (and that includes revision) for eight hours in a day when I’m under extreme deadline pressure or at an extremely ideal writer’s colony. CE: How did you get your start in the nonfiction industry? WLC: I’m not sure I’m in the nonfiction “industry.” Only one year (2003) did I earn the majority of my income from freelance writing. I found I just didn’t have the right constitution for that job. 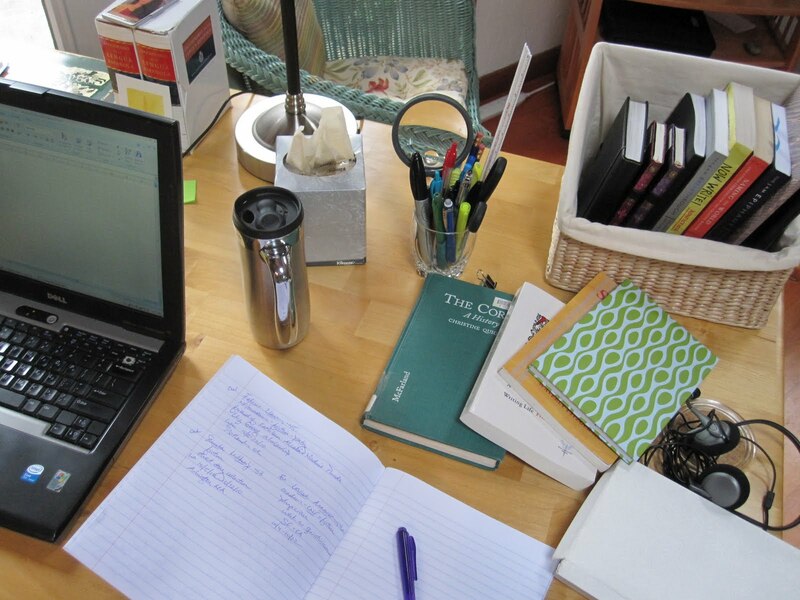 Full-time freelancers must write quickly and be willing to write about almost anything – two attributes I lack. CE: For which social change organizations did you work? Did your experiences working in these settings inspire your writing? WLC: I was a staff organizer for the GE Boycott in the early 1990s. Then I worked for a Central America solidarity organization that campaigned against NAFTA and the World Trade Organization. After that, I was Communications Coordinator at Grassroots International for four years. My (very generous) boss at Grassroots International, Tim Wise, encouraged me to take workshops in creative writing and graphic design. My first writing workshop was led by Louise Dunlap, author of the excellent book Undoing the Silence: Tools for Social Change Writing. Louise introduced me to the practice of freewriting – if it weren’t for that practice, I never would have begun writing creatively. My work as an organizer has inspired all my writing. My first published pieces were about community organizing initiatives in Southern Mexico. I ended up writing a book on this subject: No Word for Welcome. CE: Is teaching a passion of yours? Did you always aspire to be a teacher or did your career guide you in that direction? de Allende, Mexico in June 2008. WLC: Though both of my parents were teachers, I never imagined that I would become one. I led several training programs in my years as a grassroots organizer, but I never thought of that as “teaching.” I was simply helping people discover what they already knew. I finally came to understand that’s what teaching is. I “taught” my first creative writing class in 2006; I’m surprised by how quickly it became my primary profession. I greatly enjoy teaching – so much so that I consciously limit how much I do it. When I teach fulltime, I become so absorbed in the work and experiences of my students that I tend to push my own writing projects to the side. But if I’m not writing, what business do I have teaching it? CE: When you started your writing career, was your talent the main selling point or, like most other industries, were connections and a résumé more important than your talent? My first “break” as a writer was receiving a scholarship to work as a waiter at the Bread Loaf Writers’ Conference in 1999. I was so green that I had never heard of Bread Loaf; I applied because there was no application fee and I lived in Boston, so it was an easy drive. Had I known of Bread Loaf’s reputation, I never would have had the courage to apply. The application called for a work sample of “up to 25 pages.” I cobbled together the only 15 pages of vaguely “literary” nonfiction I’d ever written and sent it off. I had no connections and my “writing résumé” was empty. I’d devoted all my vacation time and spare cash for three years to visiting a little known part of Mexico and writing about it. It just so happened that one of the people on the Bread Loaf selection committee knew that part of Mexico and liked what I had to say about it. It was nothing more than the intersection of hard work and dumb luck. Connections I made at Bread Loaf led to my two-year fellowship in Mexico, the writing partner with whom I shared my writing for a decade, cover blurbs for my book No Word for Welcome, etc, etc. CE: How did you first start submitting your work to literary magazines? Did you formulate a plan or submit out of the blue? If you had a plan, what was it? WLC: I sent my first submissions to literary magazines while I was living and working in Mexico, more than a decade ago. Most lit mags didn’t have websites then, and I didn’t have any way to buy copies, so it was definitely not a well-researched plan. I didn’t land any publications from that first round of submissions (unsurprisingly), but I received some useful feedback. I’ve had the most success submitting to magazines where I have some sort of connection – no matter how tenuous. That said, the most important thing is to make peace with rejection. I gave a talk at the 2011 AWP Conference titled “What Rejection Can Do for You,” and someone in the audience posted a summary of my comments at her blog. CE: How did you start finding translation work? Are you a trained or certified translator? 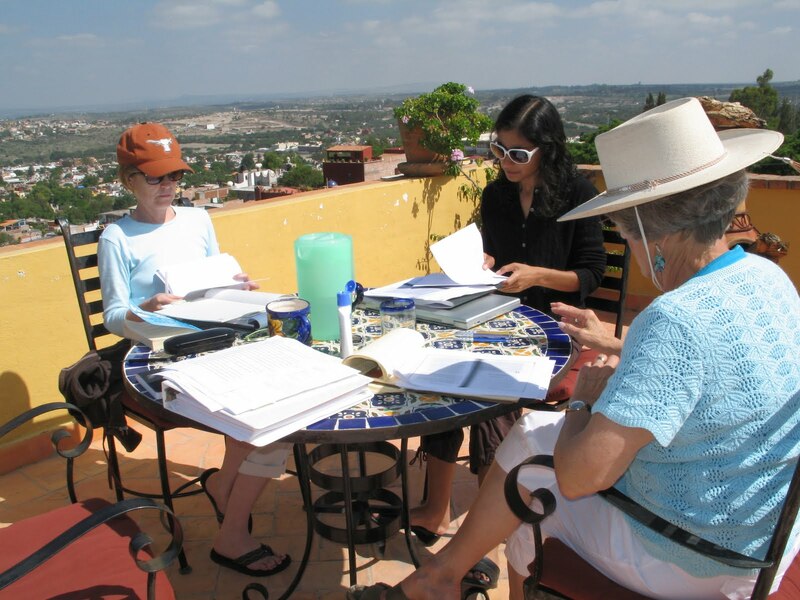 WLC: I am not a certified translator and my sole training was a fabulous two-week summer workshop that I took in 2005. Mundo a Mundo is offered by the Universities of Oregon and Querétaro every other summer – I highly recommend it! The American Literary Translators Association (ALTA) is also an excellent resource. I am rarely paid to translate; it’s more of an avocation for me. My Mundo a Mundo desk, 2005. I practiced literary translation in collaboration with a friend of mine, María Victoria, who is perfectly bilingual (which I most certainly am not) and writes her fiction in Spanish. I translate her work into English and she translates mine into Spanish. We read one another’s translations and suggest improvements; it’s an ideal learning experience. You can read more about my current translation project at this blog post of mine and in an interview I did with the South Florida literary magazine New CollAge. CE: How did you get your start in editing? What qualifications must one have to be a successful editor? 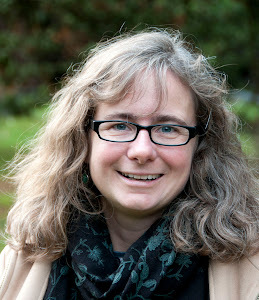 WLC: I started editing as a volunteer, working on the newsletter of the Northeast Organic Farming Association in Massachusetts, and as part of the Editorial Board of Dollars & Sense Magazine – one of the first publications to publish my writing. Eventually, I was hired to work on an enormous editing project that became the anthology Telling True Stories: A Nonfiction Writers’ Guide. There are many qualities that help with editing work: patience, a decent command of English grammar, good time management, organizational skills, and diplomacy. I have found that the most important quality of all is an ability to recognize, to truly hear, each writer’s individual voice. As a freelance writer, I’ve had editors insert sentences into my articles and essays that sound nothing like me. An editor with a good ear develops a sense of each writer’s personal cadence, vocabulary, and syntax, and doesn’t suggest changes that violate that personal signature. To the extent I have any talent at all, this is it. Thanks to Chad Emery for asking questions that forced me to think through this journey I’ve been on for the last fourteen years.